The stuff of fantasy, this motor assisted screwdriver from Wiha arrived with the promise of halving the time users take to complete their work in the future. Thanks to its electric drive, the Wiha e-screwdriver handles time-consuming, energy-sapping screw-fastening at a rapid rate, increasing efficiency and allowing users to take a healthier approach to work while saving their strength. An electric motor assists with fastening screws up to 0.4 Nm before disengaging to ensure that material is protected. The screw can then be fixed by hand, just as with a conventional screwdriver. An innovative electric ratchet function further assists users as they complete fastening. 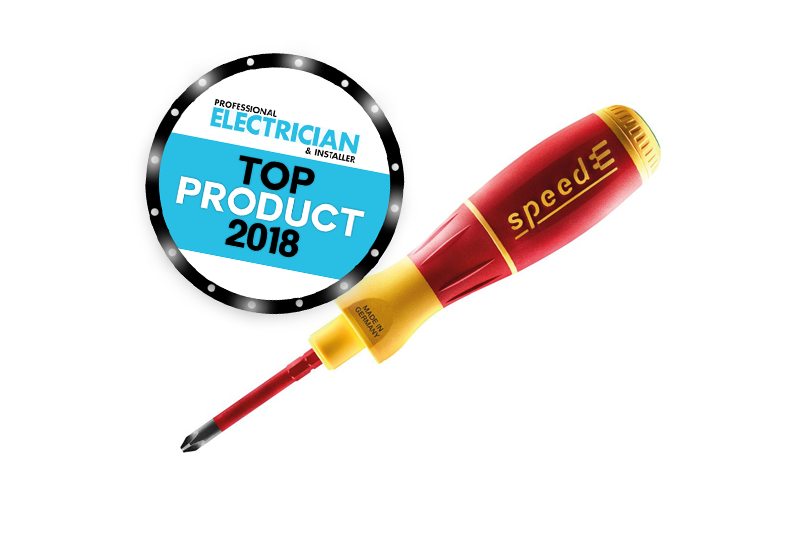 The speedE can also be used as a fully-fledged screwdriver, in combination with the Wiha VDE-tested and insulated slimBits, completely protected for use and work on live parts. Previous : Selectivity: When Is It Required?